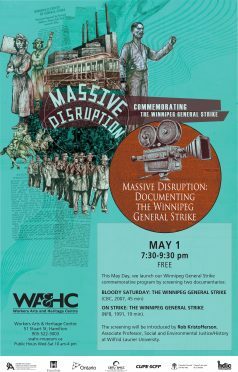 This May Day, we launch our Winnipeg General Strike commemorative program by screening two documentaries, Bloody Saturday: The Winnipeg General Strike (CBC, 2007, 45 min) and On Strike: The Winnipeg General Strike (NFB, 1991, 19 min). 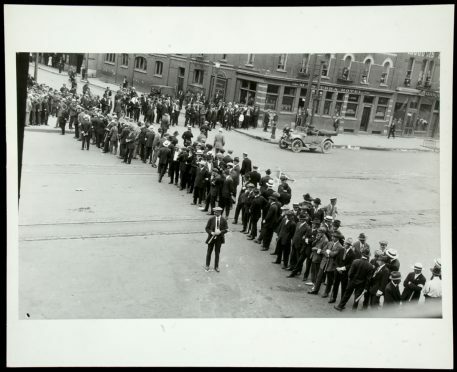 Both documentaries tell the story of the Winnipeg General Strike. 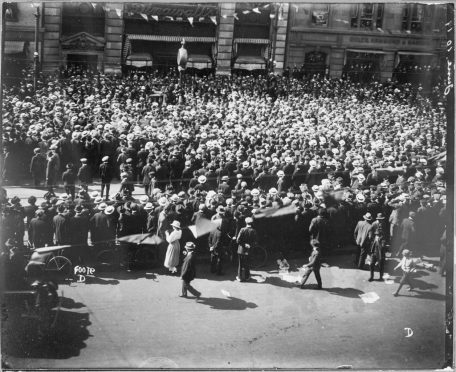 On Strike: The Winnipeg General Strike tells story of the Winnipeg General Strike in 1919 told through the recollections of the men and women who were there. This documentary traces the events leading up to the strike; the issues, the personalities and the divisions among the people of Winnipeg. 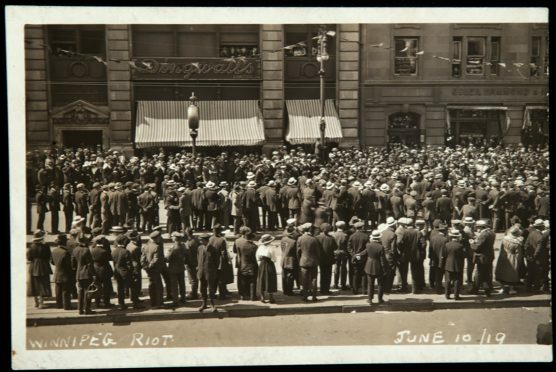 Bloody Saturday: The Winnipeg General Strike asks the question was the strike a legitimate protest against low wages, poor working conditions and a lack of bargaining rights, or was it an attempt by immigrants to import “Bolshevism” and a new political order? Bloody Saturday takes a contemporary look at the key moments of the 1919 Winnipeg General Strike and how lives were lost and changed. 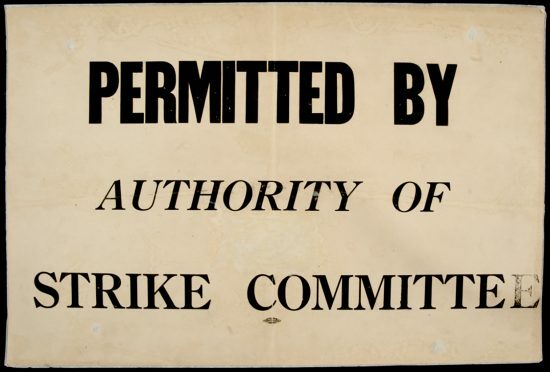 This screening is part of Massive Disruption: Commemorating the Winnipeg General Strike, which runs from May 1 to August 16. WAHC acknowledges the support of the Ontario Arts Council, the City of Hamilton and the Province of Ontario and supporting unions.